This map shows territory of Russia. Displayed city Tobol'sk presented. You can find here city Ishim marked. city Yalutorovsk presented. Displayed city Zavodoukovsk for Garmin. town Abalak download for free. 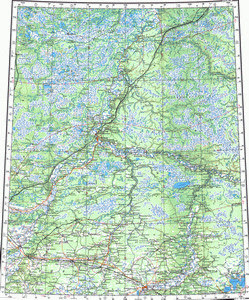 On this map town Golyshmanovo presented. You can find here town Omutinskiy presented. town Abatskoye free download. You can find here town Krutinka download for free. On this map town Vikulovo free download. town Yarkovo download for free. Displayed town Nizhnyaya Tavda free download. Displayed town Aromashevo free download. On this map town Uporovo download for free. You can find here town Turtas presented. Displayed town Ust'-Ishim marked. You can find here town Vagay for Garmin.